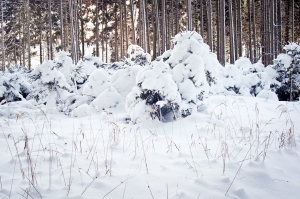 According to the Occupational Safety and Health Administration (OSHA), winter storms create many hazards for workers and can make it more difficult to perform work-related tasks. As OSHA makes clear, employers are responsible for the safety and the health of their employees and for ensuring a safe workplace. Employers, therefore, need to be aware of and take precautions to deal with winter dangers and must provide warning to their employees of the added risks that winter brings. Our Boston injury attorneys know that worksites in winter can be dangerous, and that construction sites can present even more of a risk in bad weather. We urge every employer and employee to review OSHA guidelines and to exercise care when engaged in snow and ice removal. A worker that is working on putting a new roof on a building may have to clean ice off of the rooftop before work can begin. A worker who is up high on scaffolding needs to be careful both of the potential for ice to form on the ground below the scaffolding and for the potential for ice to form on the scaffold itself. A worker can experience overexertion injuries due to removing snow from construction zones. A worker can be inside of a building and have the roof collapse due to excess snow on the roof. These are just some of the ways that snow and ice on a construction site can spell bad news for worker safety. To better cope with snow and ice on construction sites, it is advisable to review OSHA’s information on hazards related to snow shoveling and snow removal, as well as OSHA tips for safely walking on snow and ice. Ice, on the other hand, could cause a worker to fall when he is walking or working or could cause a worker operating construction equipment to spin out of control. Keeping your back straight when shoveling. Removing only small amounts of snow at one time. Wearing winter boots when you are walking on either snow or ice. Wearing sunglasses in the daytime to prevent the glare from the snow from blinding you, especially if you are operating construction equipment. These are just some of the many tips that OSHA provides for avoiding a construction accident caused by winter snow and ice. Workers should be sure to follow these tips next time you go to a construction site on a bad day. Of course, it is always important to remember that the entity ultimately responsible for any work injury is the employer. This is why employers both need to remind workers of these and other winter safety tips and why employers need to put common-sense safety plans in place for the winter months. If you or a loved one has been injured in the Greater Boston area, contact the Boston personal injury and workers’ compensation lawyer at the Law Offices of Jeffrey S. Glassman, LLC for a free consultation to discuss your claim. Call 1-877-617-5333.